I devour every tiny tidbit of information about overcoming and preventing cancer. My passion for over 20 years in the field of alternative medicine, has been to spread the amazing healing powers of the oceans. In more than 10 years I have not had one single cold or the flu. No dangerous flu shots or antibiotics either. How do I do this when everyone else around is coughing and sneezing? 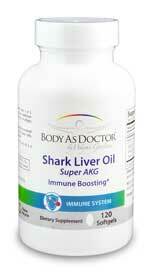 It's simple - Super AKG Shark Liver Oil. When I first was told by a marine scientist, Dr. John Croft of New Zealand, who has led the world in the medicinal study of the shark species, that shark’s don’t get cancer, that news literally floored me. Inside the shark’s immune system is a brutally efficient and powerful immune system compound called Alkylglycerol or AKG, for short. 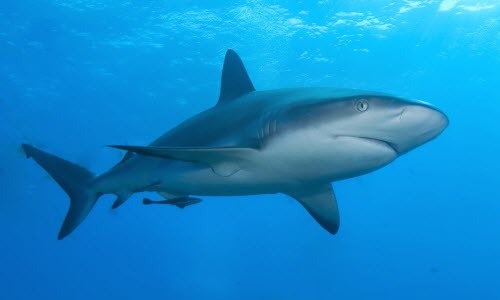 This nutrient is also found in mother’s breast milk by the way, is the key to the shark’s amazing longevity. Decades ago, marine biologists discovered an amazing species of deep-water sharks inhabiting non-polluted oceans and possessing a superior immune system resistant to many of the diseases that plague humanity. Further research, over the next 20 years, unveiled that these remarkable mammals carried up to a gallon or more of golden-hued liver oil, which contained potent Alkoxyglycerols and Squalene. These precious constituents, when ingested orally by humans, activate and enhance the body’s immune defense system, stimulating the formation of antibodies and thus increasing the number of white blood cells, killer cells, and thrombocytes in our blood. From the pristine, unpolluted waters of Antarctica and New Zealand, Super AKG Shark Liver Oil enhances the human body’s lymphatic, immune defense system by stimulating the formation of antibodies, thus increasing the number of white blood cells. The Alkylglycerols and squalene contained in our Shark Liver Oil formula are of the highest concentration and purity available. The technology employed by a renowned Norwegian laboratory is a proprietary process for extracting shark liver oil without the use of heat or chemicals. The process safeguards the purity and potency, making it one of the most effective immune-boosting products on the market today. Suggested Usage: As a dietary supplement, 1 or 2 softgels daily with a meal, or as directed by your healthcare professional. In time of need, may increase to 9 softgels daily for up to 10 days. IMPORTANT: We do not kill sharks for the purpose of harvesting the oil from their liver. The oil is a by-product from sharks which are caught, along with many other species of fish, for food. Have a bowl of Shiitake Mushroom Miso Soup at least three times a week to further boost your immune system. It works far better than chicken soup. Add our super-potency Ultra D3 formula for a two-pronged attack on immune dysfunction. Combining Vitamin D with Shark Liver Oil is a knockout 1-2 punch for building a robust immune system.